The latest LG monitor, the LG 24GM79G, also deemed as the LG 24GM79G-B, includes a budget-friendly gaming monitor with 144Hz refresh rate, FreeSync, 1ms response time, and an overall attractive design. Although it’s only 24-inch in diagonal, the Full HD resolution will make the image just right with crisp and sharp details while your computer gear won’t struggle to push smooth 144Hz refresh rate at 1080p. This simplistic yet remarkable gaming monitor is already available for a measly $305. Although a TN panel, the LG 24GM79G will offer an immersive image quality due to the 8-bit color panel that’s factory calibrated and offers 6-axis color adjustment ability. However, the viewing angles are still significantly inferior to the IPS and VA panel monitors and amount to 170/160 degrees. Luckily, the monitor has the extensive tilting versatility of -5, 35 degrees, so you will always be able to match the right angle to your position in which colors won’t contrast. The specified response time is 5ms, but once enabled, the Motion Blur Reduction feature minimizes the response time speed to only 1ms which is expected from a TN panel gaming monitor. This will eliminate all ghosting and trailing of the fast moving objects in the fast-paced action video games. More importantly, the 144Hz refresh rate ensures smooth and seamless gaming experience which will give you the edge over your opponents with regular monitors. Lastly, AMD users will be able to use the full potential of their FreeSync compatible graphics cards as they’ll be able to synchronize the refresh rate of the LG 24GM79G to the frame rate of the GPU within the speculated dynamic range of 48-144Hz. Thus, the screen tearing and stuttering will be entirely eliminated, input lag reduced, and steady FPS (Frames Per Second) rate maintained. In addition, the Dynamic Action Sync feature further reduces the input lag, ensuring the impeccable and responsive gameplay experience. The common LG features will also be present with the LG 24GM79G model. These features include the Black Stabilization for a better visibility in the dark scenes of video games, the 4-Screen Split for a more effective multi-tasking activities, the On-Screen Control for effortless OSD adjustment in a desktop application, and the Crosshair which places a fixed crosshair overlay on the screen. In addition, there will be several pre-calibrated picture presets including Custom, Reader, Photo, Cinema, Color Weakness, FPS, FPS 2, RTS, and custom game mode. 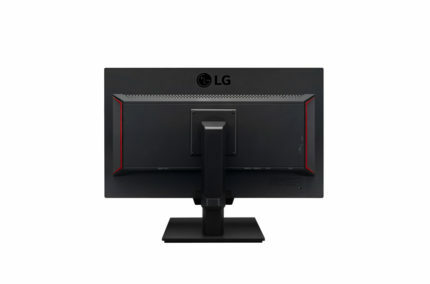 The simplistic but modern design of the LG 24GM79G offers an extensive range of ergonomic abilities including pivot, tilt, 130mm height adjustment, and a 100 x 100mm VESA pattern compatibility. The screen of the monitor is covered with an anti-glare 3H coating which eliminates the sunlight reflection. Although the bezel seems a bit thicker than the more modern monitors, it seems pretty appealing. Connector ports include two HDMI 2.0 ports, a DisplayPort 1.2, an audio line-out port, and three USB 3.0 ports, one of which is upstream and needs to be connected to the PC in order for the other two to function. 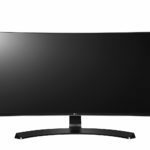 At the moment (April 2017), the LG 24GM79G is available for $305 which is quite reasonable for a 144Hz gaming monitor. 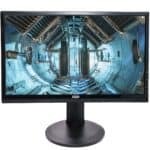 Considering that 24-inch monitors with 1080p resolution, high refresh rate, quick response time, low input lag, and the adaptive-sync aren’t as common as they are demanded, this gaming monitor is exactly what a big part of the gaming community is looking for – A simplistic and affordable 144Hz gaming monitor with Full HD resolution and the adaptive-sync which won’t require a demanding computer gear in order run video games smoothly while the image quality stays crisp and vibrant. 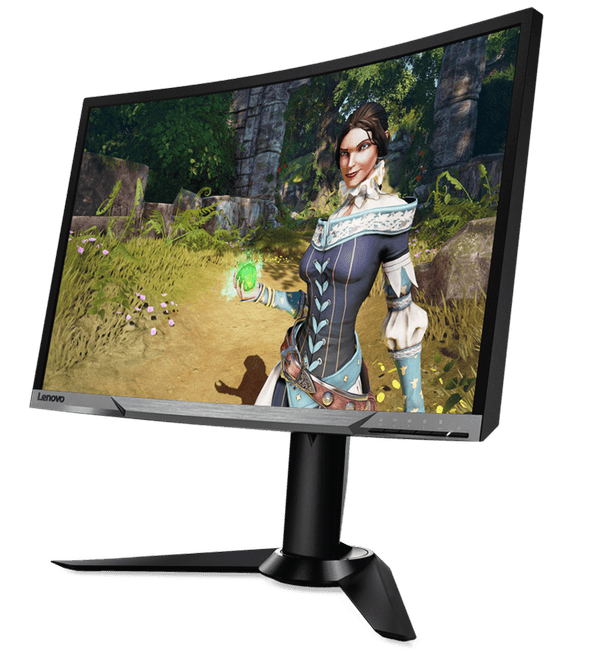 Overall, the LG 24GM79G is a reasonably priced gaming monitor with a modern design and remarkable specifications for a fluid gaming experience. Those who are looking for a humble Full HD 24-inch gaming monitor now have an excellent alternative as this monitor won’t break your bank and neither will the computer equipment required to run 144Hz on this beauteous monitor. 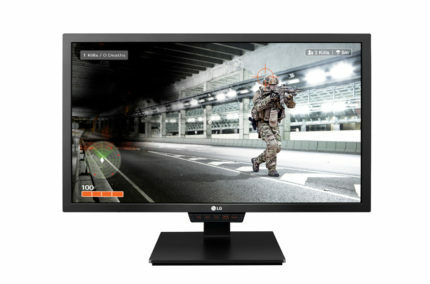 In addition to the standard LG features such as the well-optimized picture modes, the screen split, low input lag, and the black stabilization, the LG 24GM79G is a compactly designed gaming monitor which will suit a great part of the gaming community. The LG 24GM79G promises an astonishing image quality even for a TN panel monitor due to the factory calibrated 8-bit panel. The smooth performance is guaranteed by the rapid 1ms response time, 144Hz refresh rate, and the FreeSync technology. This 24-inch Full HD gaming monitor is a perfect choice for those with a somewhat tight budget who want to take their gaming experience to the next level with minimal expenses. Would this work well even if you dont have freesync? (Palit GTX 1080) for 144hz gaming?